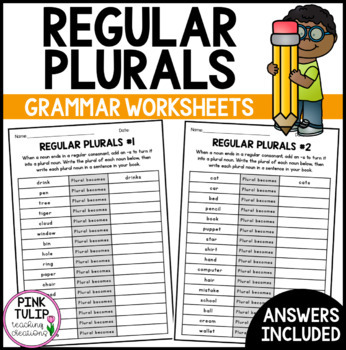 This product includes 2 worksheets to help your students to learn regular plural nouns. 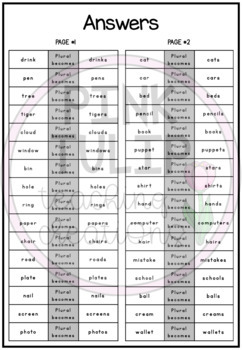 Each worksheet contains a number of nouns where students are required to add the "s" to create a plural noun. 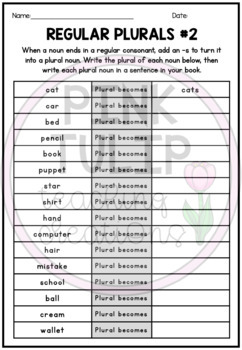 It is recommended that students write each of the plural nouns in their workbooks to further develop their sentence formation, handwriting and spelling.